This free newsletter is published every month for the benefit of FALDP members, legal document preparers, and friends. We hope it is informative, useful, and entertaining. We hope our technical problems have been solved. If you receive this, kindly contact us - staff@faldp.org. Thank you! New Course Launched. This course is targeted at property managers, landlords, and the document preparers who do the paperwork. All of the landlord/ tenant forms available for purchase on our site are included as downloads in the course. For a limited time - through December 31, 2012 - we are offering online learning specials. Enroll in any course, except for the INTRO course, and the second course is free -- yes FREE! And the second course does not have to be of lesser value. Enroll in our INTRO course and the membership fee for Basic Membership is waived. You can upgrade to Premium at any time. This is the first in a series of surveys. We are in the process of designing county specific surveys, and surveys targeted towards courthouse personnel, judges, and attorneys. Once we have collected a large enough sample, we will publish our findings. We're almost there. The greater number of participants in our survey -- the more credible the findings. FALDP is currently negotiating with a major insurance company so that we can offer insurance coverage through our association. In order for us to qualify as a bona fide association, we need to write formal by-laws. If you are involved in any other professional or trade association that has by-laws, please send them to us. We would like to see how other groups handle their by-laws, before creating our own. We have received a lot of sales calls lately from people trying to sell us internet marketing. Some of the salespeople have a good pitch and so I listen, others I dial tone. FALDP has been in existence since 2010, site traffic is now hovering around 200 unique hits a day. I check everyday. And if I'm on vacation, I check anyway. I know, I am somewhat obsessive on this point. This hosting company, SBI, gives me a lot of help. I can see where my site visitors are referred from, and I can see which key words are working, and which aren't. Almost all of our site traffic is "organic" - I occasionally do a pay per click google adwords campaign. But not so much. The correct key words, and using SEO techniques is important. But it is not the only thing. Equally important (if not even more important) is the quality of your site content. FALDP is very rich in quality content, in fact, we're in the process of rearranging the entire site, because there is so much content. Our public is eager for legal information. Consumers do not know how to find case law, statutes, or codes. Many of our site pages were created after a customer asked a question. If that customer was looking for the answer - it is likely many others are also. Quality content is king - or queen! We don't mind giving away information. We do it all the time. There is enough information on our site about many subjects, for some consumers to bypass our services altogether. And that's ok. That consumer may tell a friend what a great site this is; or come back the next time he has a legal issue to explore. And for this type of site, repeat visitors is great. Most of the document preparation work we do in-house is repeat business or referrals. So keep your site informative, interesting, and up to date. Also, I learned years ago, while in the art gallery business, that if I rearranged my paintings -- people thought I had gotten in all new art work. Its the same with a website. The Nationwide Alliance of Legal Document Preparers is now accepting memberships. If you do business in other states, or exchange referrals with document preparers in other states. This alliance may be what you're looking for. The site concept is similar to www.faldp.org. Please take a look if it fits into your business plan. Membership is until February 1, 2013. We have translated some of our FALDP pages into Spanish. So far, we only have a few - Indigent Status, Divorce, and Immigration. We will continue to reach out to Spanish speaking consumers, to provide important legal information. I can only imagine the difficulty that many Spanish consumers must have navigating the legal system. Many native English speakers have trouble understanding the pro se documents -- so it must be exponentially more difficult if English is your second language. One of our members, Paola Curiel, of Pagio's and Associates, LLC, has agreed to help FALDP with translation and answer the association calls from the Spanish pages. Once we are further along in creating Spanish pages, we may offer others the opportunity to handle the incoming calls. Incoming calls are often requests for document preparation assistance. Requests that Paola and her team cannot fulfill will be referred to other members. We plan to create a directory of Spanish legal document preparers and translators. There will be a nominal fee to be included in the Spanish directory - $25-$35. annually. If you or anyone in your office assists Spanish pro se consumers and would like to be included in our Spanish Directory. Please let us know. We know the holidays are supposed to be fun. And yes, for the most part they are -- but many of us get antsy when there's no work coming in. Type A personalities and all. 1. Clean out your files. Reorganize and update your files. Discard what you can. 2. Rearrange your office. It always feels like new beginnings when the furniture is in a new place. 3. Collect your tax documents so that you can get those done and out of the way in January. 4. Make a list of business and financial goals for the coming year. 5. Review your list of business and financial goals from last year. Have your goals changed? Did you meet or exceed your goals? Did you change your mind about some of your goals? You’ve Been Served exists because after experiencing a pro se legal process myself I saw the need for a fast, friendly and efficient Process Serving company that understood how personally a legal process effects individuals and how stressful it can be. I found the services in the legal system have lost their empathy and compassion for the people experiencing the stress of legal proceedings. We, at FALDP, highly recommend and endorse Melisa Thompson and her services for her professionalism and dedication. Julian's Legal Doc Prep, will not only help you prepare your divorce documents, he'll do your marketing too. Let Julian be your back office - 386-265-5338. 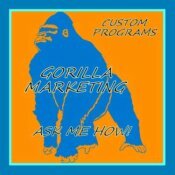 Advertising and marketing programs, tailored to your needs. INTRODUCTORY OFFER Julian will place your ads on 8 of the best free sites 15 times per month for only $50. per month! That's 120 ads per month!